After almost a year of rumors and avoiding questions about marriage, Ashton Kutcher finally admitted to Ellen DeGeneres on The Ellen DeGeneres Show that he and Mila Kunis definitely got married. Hallelujah! It's about time one of the That '70s Show actors spilled the beans. They sure are great at keeping secrets. 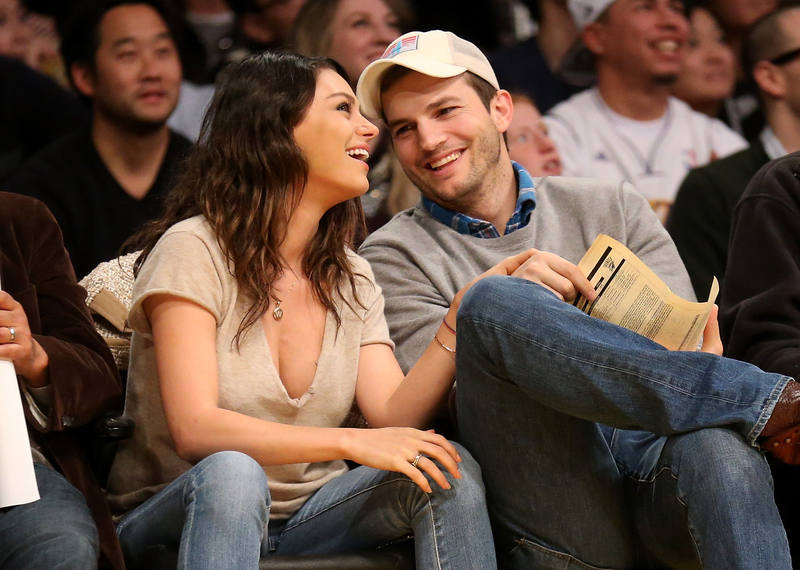 Now that the cat is officially out of the bag, when did Mila Kunis and Ashton Kutcher get married? You wouldn't think that'd be an easy question to answer, especially since these two are extremely private, but you'd be wrong. It was a ninja effort. We really didn't want helicopters at our wedding and it's a legitimate concern. I was, like, posting things on social media that were in different locations to avoid that, because we didn't want to be screaming our vows at each other and being like, "Forever!" "Did you say never?" We didn't want to do that thing, so we went really under the radar with it. Obviously, their big day didn't stay under the radar, because almost immediately rumors began that the actors who brought Jackie and Kelso to life on That '70s Show walked down the aisle. An exact date has never been given, but reports of their marriage were published on Sunday, July 5, 2015. People also reported that Kunis and Kutcher got married sometime over the Fourth of July weekend. My guess is that they either made things official on Friday, July 3, 2015 or Saturday, July 4, 2015. Whatever the case, Kutcher and Kunis' wedding was probably very patriotic and all about the red, white, and blue. Hey, I bet they even had fireworks.